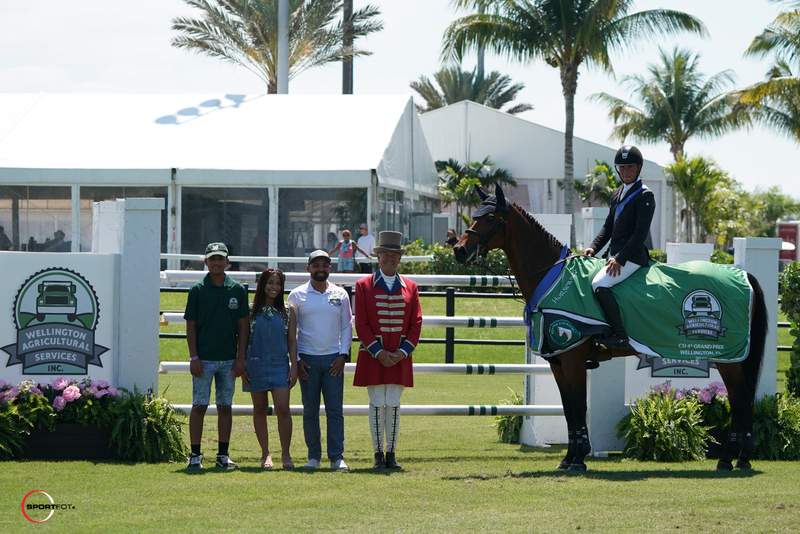 Jennifer Wood, Lindsay Brock, and Summer Grace for Jennifer Wood Media, Inc.
Wellington, FL – March 23, 2019 – The main feature of the 2019 Winter Equestrian Festival (WEF) on Saturday, March 23, was the $209,000 Wellington Agricultural Services Grand Prix CSI 4*, held on the grass derby field at Equestrian Village at Palm Beach International Equestrian Center. 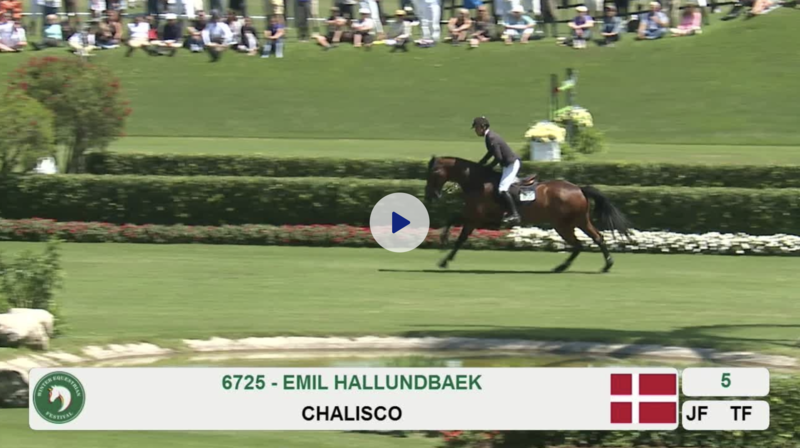 Emil Hallundbaek (DEN) and Chalisco raced to victory in the field full of top competitors. 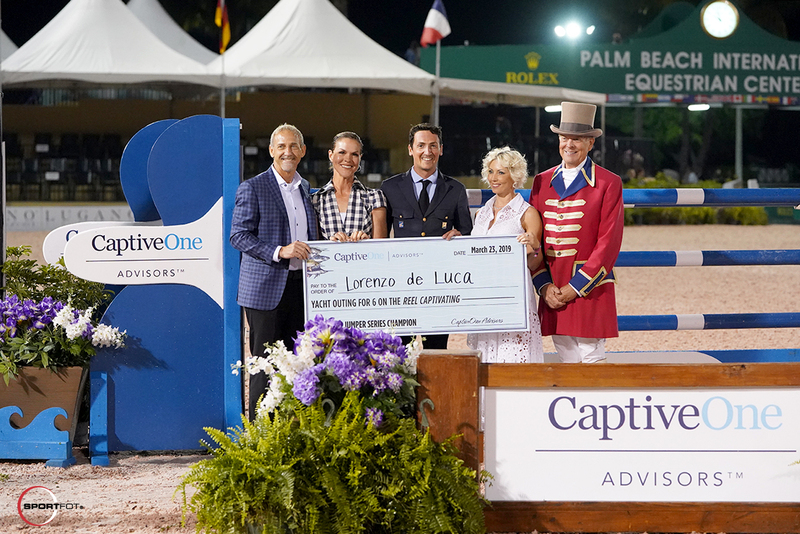 In the $134,000 CaptiveOne Advisors 1.50m Jumper Series Final, Sergio Alvarez Moya (ESP) rode MHS Attraction to the win, while Lorenzo de Luca (ITA) took home the overall series victory. 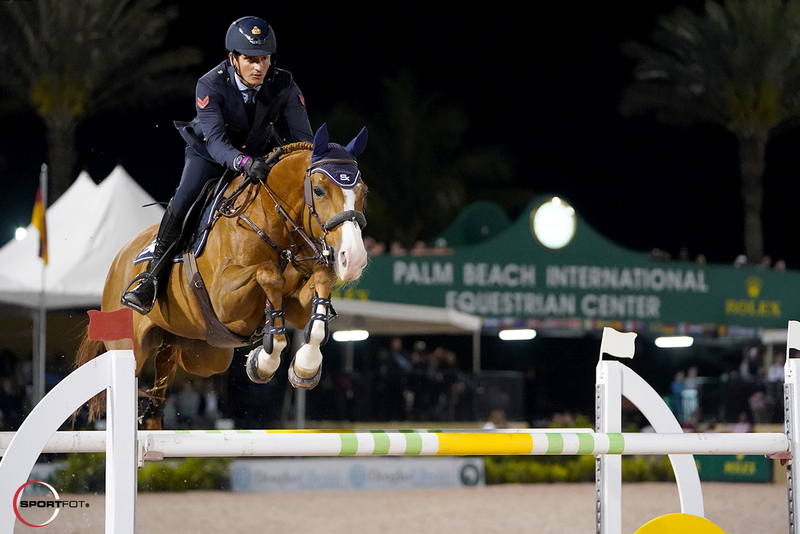 The eleventh week of WEF concludes on Sunday, March 24, with the $50,000 Hermès Under 25 Grand Prix Series Final on the grass derby field at Equestrian Village. 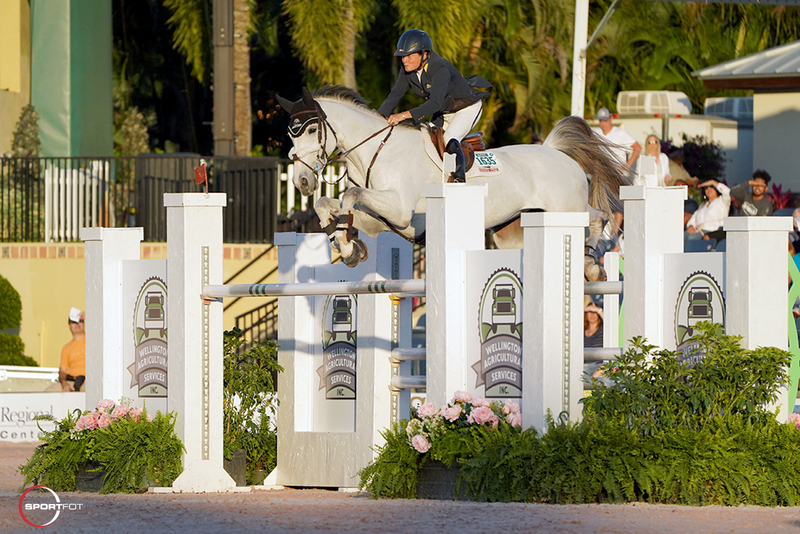 The final week of WEF, sponsored by Rolex, runs March 27-31 and features the $500,000 Rolex Grand Prix CSI 5*. 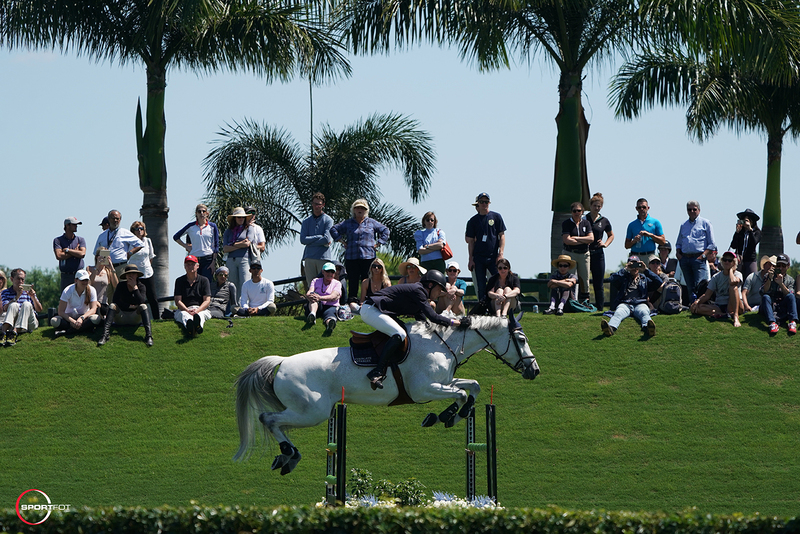 There were 45 entries that went to post in the $209,000 Wellington Agricultural Services Grand Prix CSI 4*, and five of those recorded a clear round and advanced to the jump-off. First to return was Lorcan Gallagher (IRL) riding Dacantos Group’s Hunters Conlypso II. 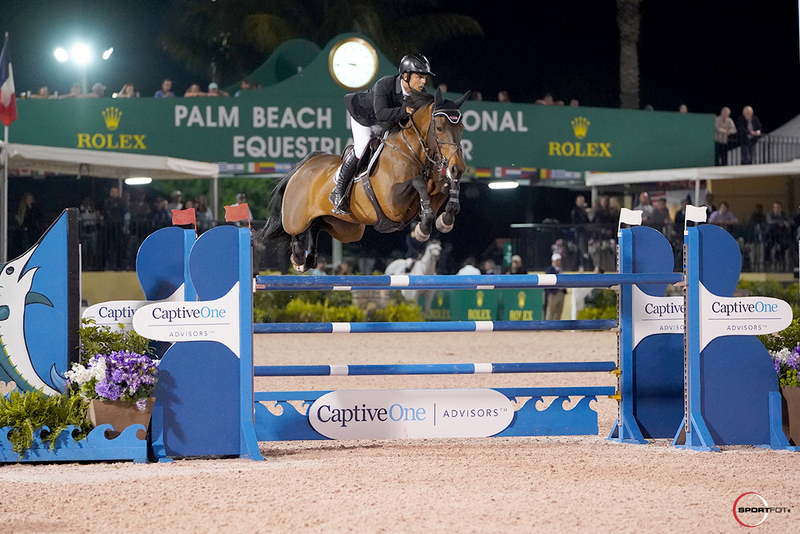 He and the 11-year-old Hanoverian gelding by Contendro I x Calypso II had a rail at ‘a’ element of the “bogey” double combination for four faults in 45.35 seconds to finish in fifth place. Hallundbaek and Chalisco were next in, and they galloped around the field and cleared every jump presented to them, crossing the timers clear in 42.37 seconds. They were followed by world number three Harrie Smolders (NED), who piloted Evergate Stables LLC’s Une de L’Othain. They had a rail at the double combination as well, giving them four faults in 41.02 seconds for third place. Taking note of the double combination, Rodrigo Lambre (BRA) piloted Chacciama carefully through the turn and was able to stay clear in a slightly slower time of 42.75 seconds for second place. Lambre has ridden the 12-year-old Oldenburg mare by Chacco Blue x Andiamo Z for two years. The final combination into the ring were Jessica Springsteen (USA) and Fleur de L’Aube, Stone Hill Farm’s 14-year-old Belgian Warmblood mare by Thunder van de Zuuthoev x Orchidee vh Pallieterland. They too had a rail at the double combination to finish in 41.97 seconds for fourth place. Hallundbaek, who is just 21 years old and now based in Aachen, Germany, has won 14 CSI 2* and 3* classes, but this is his first four-star win. Setting that victory in the grand prix made it that much more special with Chalisco, who has been in his family for six years. It is their first grand prix win together at any level. “This is a peak in my career,” he said. 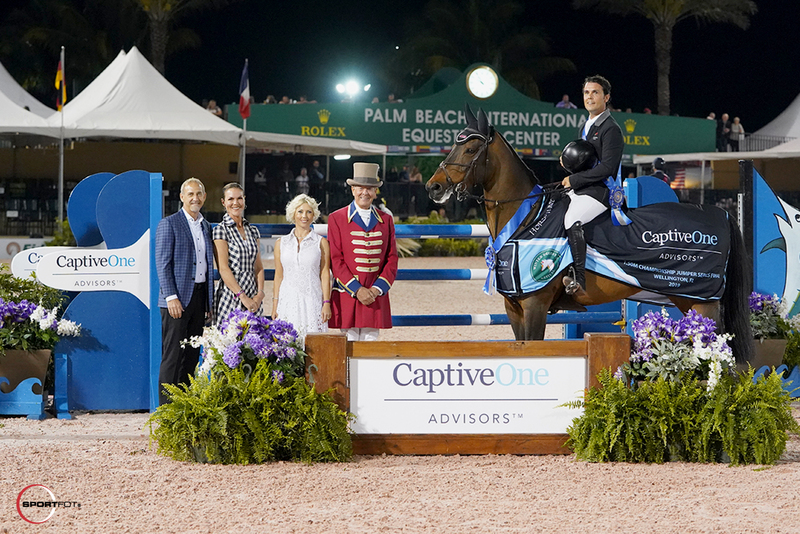 Hallundbaek will take that consistency and apply it next week towards the $500,000 Rolex Grand Prix CSI 5*. Jose Gomez, owner and CEO of Wellington Agricultural Services, said, “Wellington Agricultural Services is one of the largest agricultural services provider in the Palm Beach area. We basically do the manure removal services for all of the farms out here in Wellington and including the horse show itself. We’ve been around for over 30 years, and our main focus is the environment. Our drive is to one day take 100% of all the waste from Wellington and the Palm Beach area and convert it into bio-fuels and anything energy efficient for our community as well. Click here to watch Sergio’s winning ride! Kicking off Saturday competition in the E.R. Mische Grand Hunter Field, Sophie Gochman and Garfield secured the champion title for the Week 11 Large Junior Hunter 3’6” 15 and Under division. 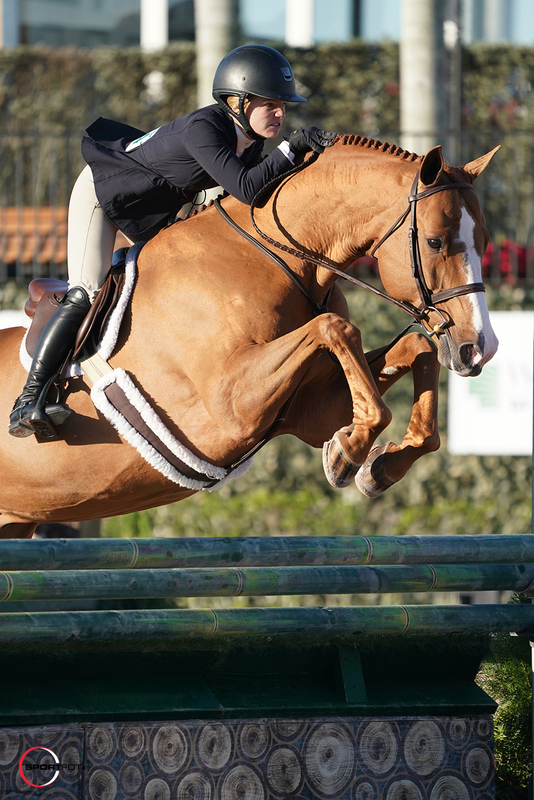 After parting ways when Garfield was purchased by Bikoff Equestrian LLC, the pair reunited in the hunters this circuit and landed the championship after winning both of the day’s over fences classes. Gochman owned the 16-year-old Holsteiner gelding (Coriano x Love Touch), whom she affectionately calls ‘Kitty’, for a period of time before he was sold a year and a half ago. With his current owner, Ella Bikoff, competing several other horses in the Junior Hunter 3’3” divisions, Gochman was given the opportunity to take the ride on Garfield again and the pair have picked up right where they left off. 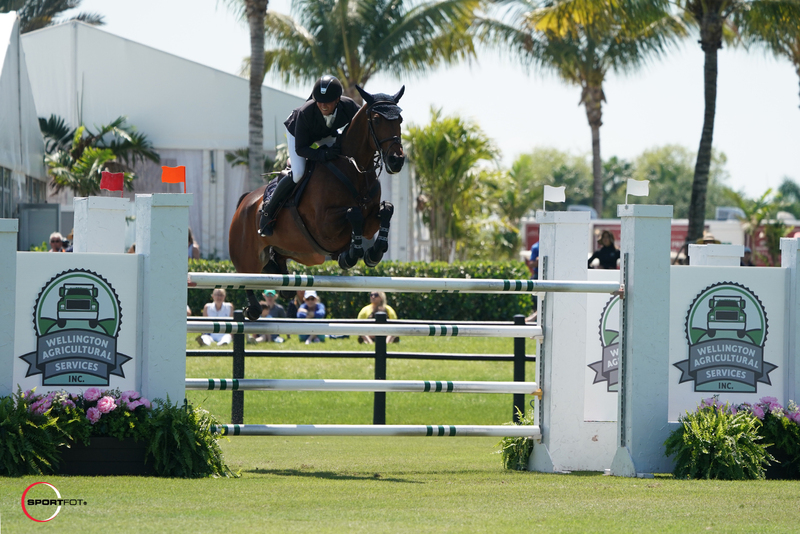 Gochman and Garfield held the highest scores in three out of the four over fences classes with two rounds earning 87.00 points and a third earning 88.00 points. “For the end of circuit, it was still a decent-sized division with some pretty high scoring rounds, but at WEF you always know you’re going to have good competition,” she explained of her win. “He is really straight-forward; you mostly sit back and let Garfield do his thing. He’s the boss, and he lets you know it! “He’s just a really incredible jumper. He always has his knees tucked to his nose, and he is so elegant as he goes around the ring which I think makes him stand out quite a bit,” Gochman added. 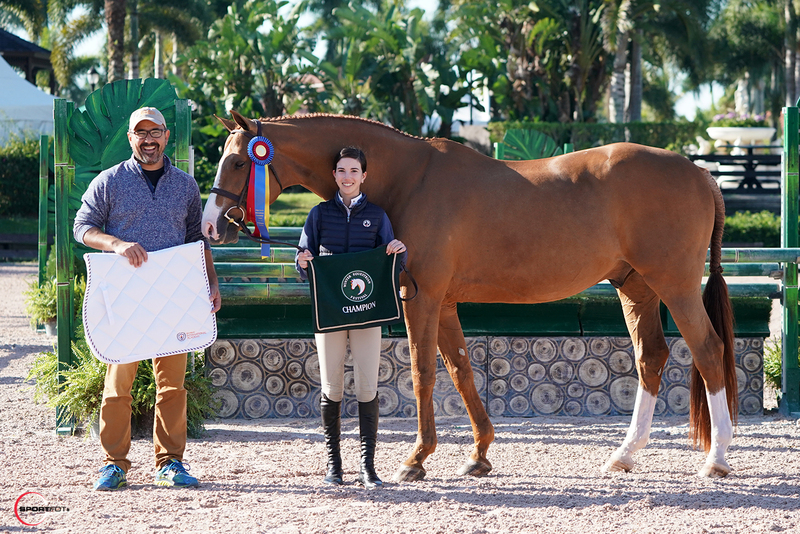 Gigi Moynihan and Christy Johnson’s Corrico ended their week as the division’s reserve champions. She and the seven-year-old Warmblood gelding were the winners of the handy round with a score of 86.00 points and also picked up two seconds, a third, and a fourth. 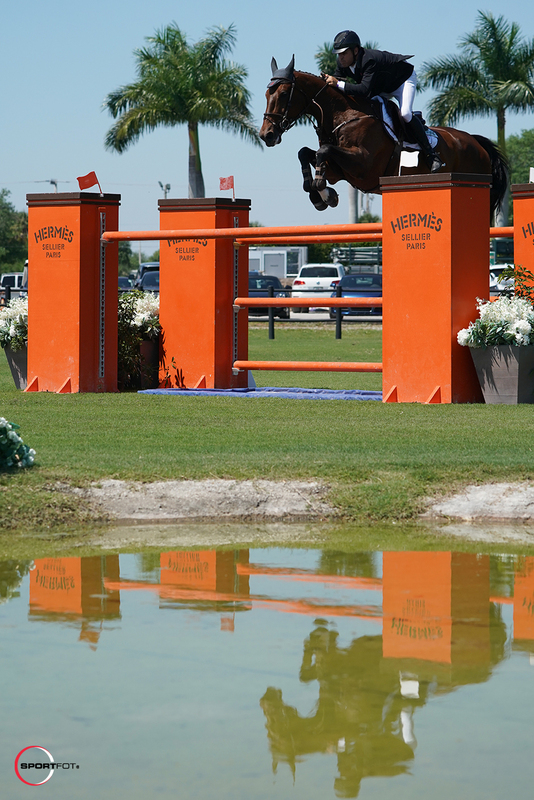 Week 11 will wrap up its final day of competition on Sunday, March 24, featuring the $50,000 Hermès Under 25 Series Final on the Derby Field at Equestrian Village.